There have been trailblazers in the Welsh Folk Scene, think Ar Log with their Led Zep like numbered albums Ar Log I, Ar Log II etc, (Ar Log toured Europe / toured South America years before the Cool Cymru protagonists were learning to tie their shoelaces) and even in recent times we have had the dubby re-interpretations of trad Welsh songs by 9Bach and a progression for sure in terms of presentation and arrangements by artists such as Georgia Ruth Williams and Gareth Bonello (The Gentle Good) not to mention new original material. So it’s not all clichés; anything but, and a whole new generation of Welsh acts have graced the stages of Green Man Festival and the Talacharn (Laugharne) Weekend putting the folk back into folk, sending Nancy Richards, Telynores Maldwyn, spinning in her grave for not using y delyn deires (triple harp) – yep it’s all good out there in Folk Land. Somehow or other I sort of missed this album, not sure how, not sure why and have only recently sat down and listened to Cerys’s masterpiece of arrangement and interpretation. This is more like it, this well and truly sets the bar, but then I always knew the lady had talent. Cerys starts with ‘Sosban Fach’ a song usually associated with arse-cracks, beer bellies, red and white scarfes and Max-alikes drunkenly destroying the song in pubs. This is given a new life, way beyond life-support machines, it’s a great song historically destroyed by association with naff Welshness. I’m surprised to be enjoying this. ‘Myfanwy’ follows, without doubt one of the greats, we all know it, but this is done with subtlety, just a little strum, her voice carries the song with tenderness, a tender charm rarely heard as this is usually belted out in chapels across our Land. Quite beautiful Miss Matthews, quite beautiful. We go all country, somewhere Louisiana, Nashville, I know not, but this is a country song if I ever heard one, ‘Bugeilio’r Gwenith Gwyn’ has never sounded so totally “international”, but then country music is an international Language. Listening to reggae records in the car with my good friend, singer Jeb Loy Nichols we often have this discussion – how so many reggae tunes are rooted in country. Cerys makes something Welsh quite international – outward looking rather than inward and the Welsh Language vocals do not create a barrier to international communication. What a tune ! ‘Can Merthyr’ goes bi-lingual, this ain’t easy, this takes quite a lot of concentration, probably a few takes but it’s a good ’un as we say. Very Welsh. ‘Cwm Rhondda’ is another one we all know, again Matthews does it justice, she seems to know how to turn an anthem into something more subtle, this is almost an insight, it’s certainly refreshing. Instruments are almost dropped for ‘Ar Hyd y Nos’. they are surplus to requirements really but they are introduced fleetingly. No need, Cerys can hold this with vocals alone – this sounds like a lullaby for our sleeping babies – you should try it if you have 2 year olds. ‘Migldi Magldi’ is more fun, Cerys ups the vocals a touch but yet there’s none of that un-necessary shouting type stuff that the Dawnsio Gwerin brigade might introduce to the song. She’s joined by Bryn Terfel. In a weird way Bryns voice is best when complemented by Cerys. The duet bits are good. Alone Bryn sounds like a brilliant singer who has nowhere to go, he lack’s Cerys’s story telling skills. Interesting version, saved by Cerys ! How do you justice to ‘Calon Lan’ another song over cooked by years of choral abuse, once again Cerys’s tactic is to drop the tempo and give it a gentle strum along. No over doing, just story telling. The voice remains our main instrument and we take a funny turn for the middle 8 and then return to a nice finish. ‘Dafydd y Garreg Wen’, another classic, another near di-gyfeiliant. I know his grave at Ynyscynhaearn Church, a remote little church in deepest Eifionydd, this is one for a video for sure, the scenery would complement this track. Again ‘Mil Harddach Wyt Na’r Rhosyn Gwyn’ is done with as little as possible going on, guitar sound well chosen but the following track has to be the hardest challenge, ‘Hen Wlad Fy Nhadau’, where do you start ? This is where we really see Cerys’s skills as a songwriter, singer, arranger, she’s able to give this song her own voice, an almost impossible task and we even get to actually consider the great long lost second verse – the one that no one actually knows the words ! 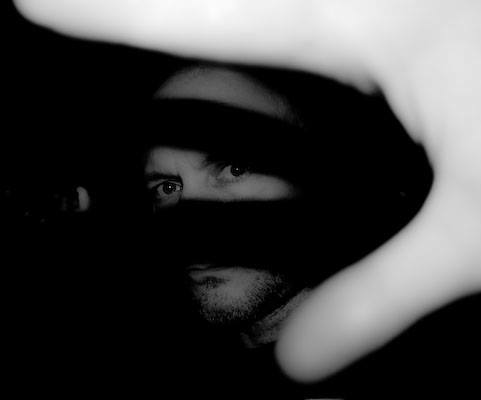 A tougher track follows, ‘Yr Insiwarns Agent’ has a bit more anger vocally, again this is pure story telling. Possibly the most out-there track on the album but not that far out either, it’s just given a bit more character and performance. A similar treatment is given to ‘Bachgen Bach o Dincar’, great vocal performance and the guitar does that fast country strum. This one is basically a belter, great in a gig, it would get them all going for sure. Yr Hwntws used to do this track – their version was sooo very hard. This is better for it’s country vibe. Press repeat, Cerys succeeds again with ‘Calon Lan’, done to death by everybody, but we stay with her, the harmonica breathes new life, the vocals carry and tell the story. Mission accomplished. We return to a Neil Young vibe for “E Di’r Deryn Du’, the fact that Cerys goes a bit darker really does shine a new light on many of these tracks. It’s a real surprise that this body of work works so well when you look at the track listings. It could put you off listening but that would be a real real shame. This is how Welsh Folk should be done – with equal measure of respect for great songs and disrespect to conventions. A quick note for the excellent packaging, this is like a CD commissioned by Sain Ffagan, quite brilliant. 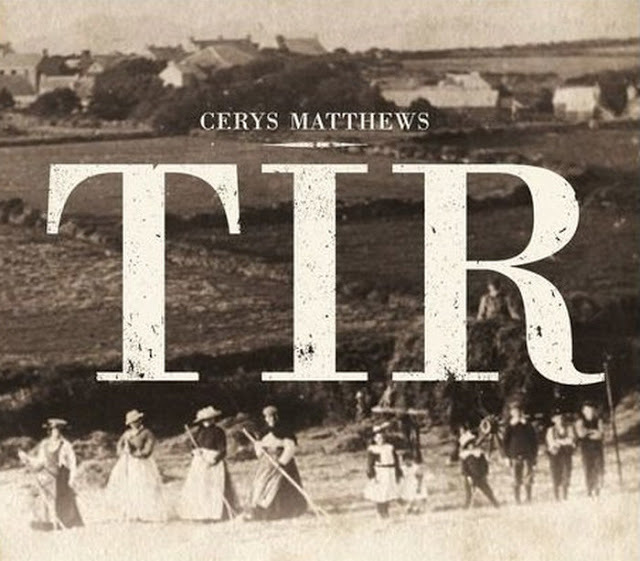 Cerys Matthews has managed what could almost be the impossible, she has made these familiar songs not only fresh but she has engaged us in the story, she has drawn us in with the light and shade with an album that shines with subtlety. A fragile precious artefact.